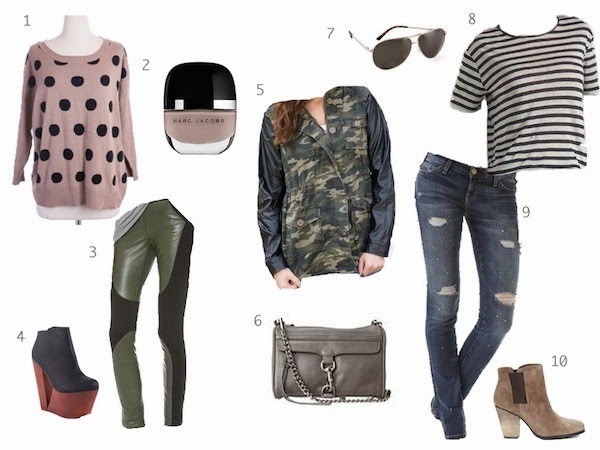 a few fall favorites and really, when you look at these two outfits, you could mix and match just about any of these pieces! one of my favorite things is finding perfect pieces that go with just about anything! hope you're all having a great week so far- i can't believe it's halfway over already! I love all these choices! Especially #1 & #6. Cute!! Those cut-out wedges! Oh my... drooling over here.